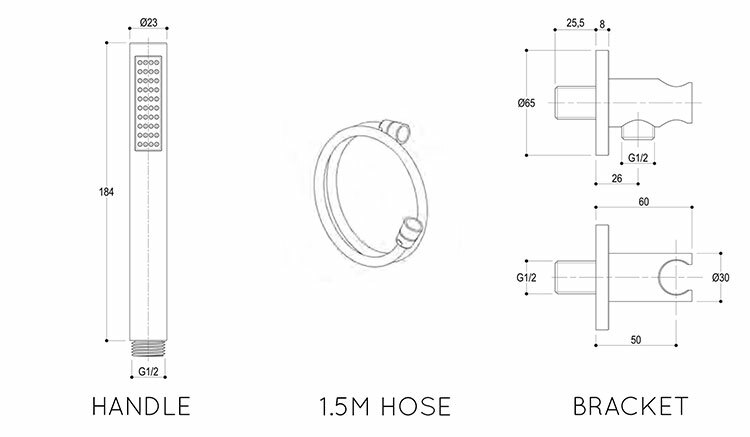 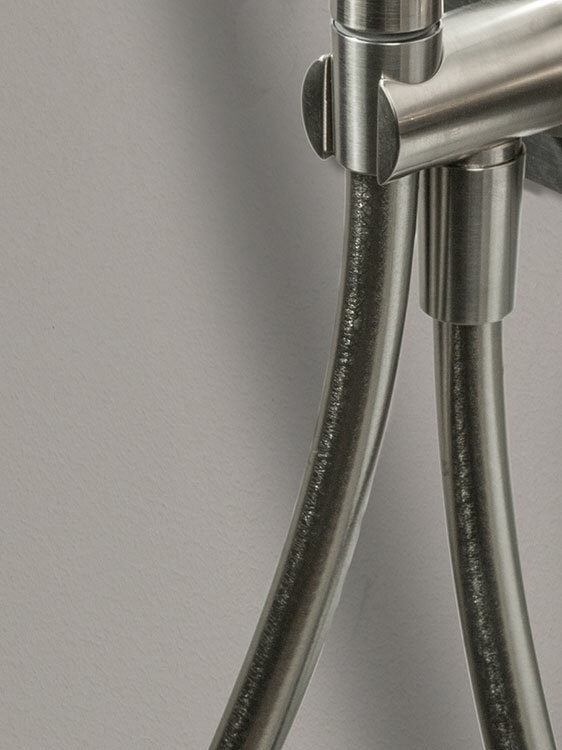 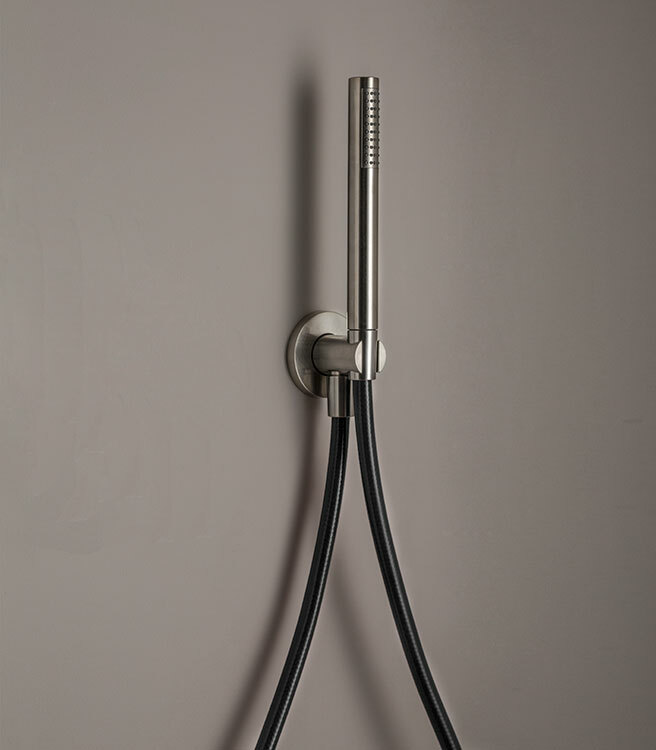 A contemporary handheld shower head mounted onto a fixed wall holder with integral water wall outlet produces a neat and stylish addition to the showering area. 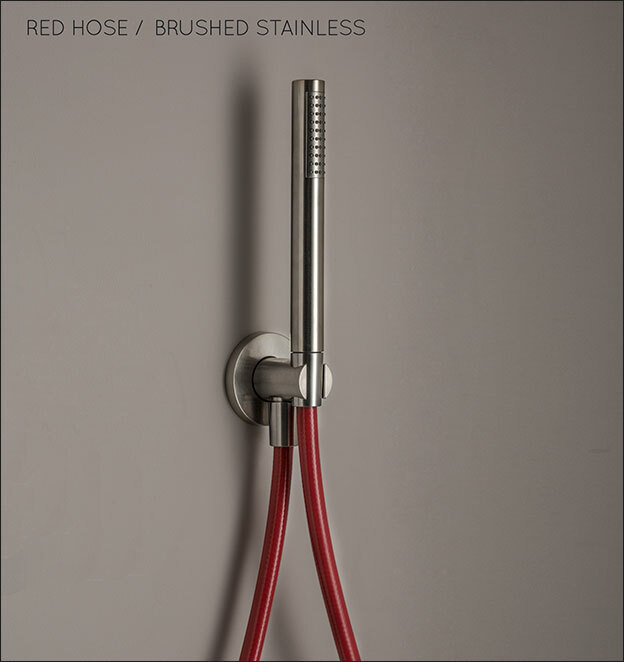 Available in brushed stainless steel and chrome and with a choice of shower hose colours between traditional silver, red and black, this handheld shower attachment makes a lovely design feature and is very high quality. 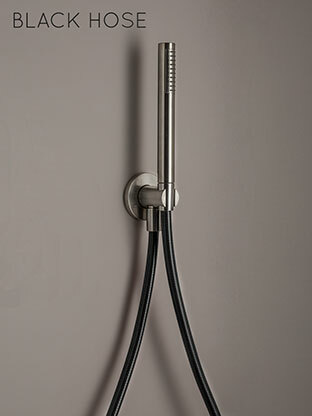 * Contemporary & lovely quality..